Integrated foot pedal ensures positive clamping. Fold-down table extension supports large format materials. 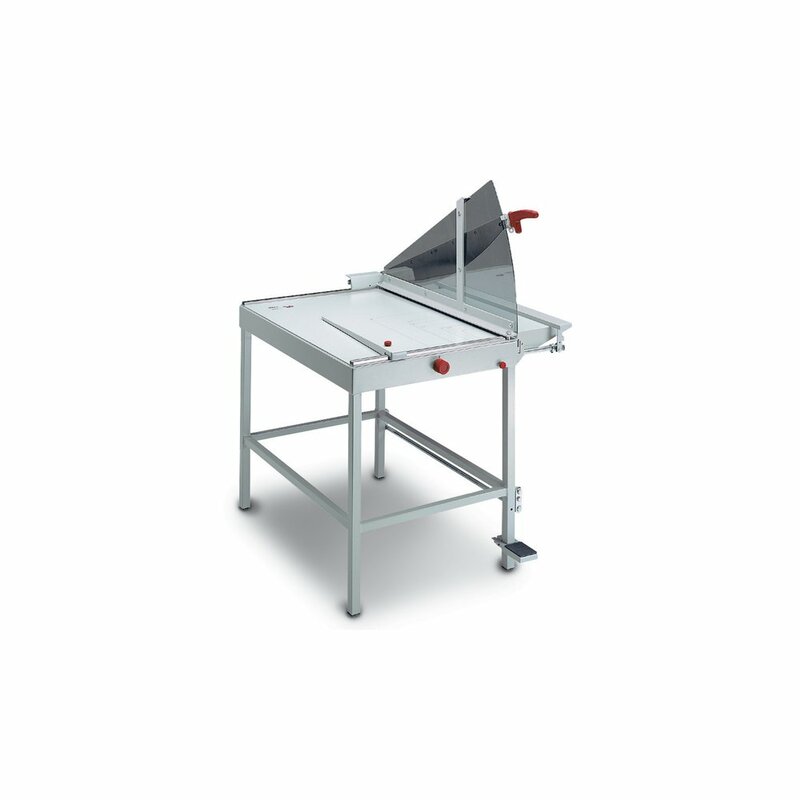 Special wide-angle blade cuts heavy materials such as matteboard, plastic, and metal foil. Transparent Lexan safety guard. All-metal construction.